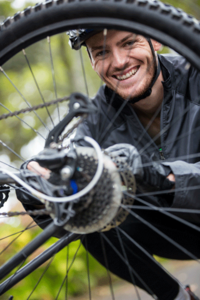 Thanks for vising RiseBiker.com. I am James D. Pearson, the man behind this website. I have started biking since July, 2017. Before that, I was obese and had spent most the time frustrated. I felt week and didn’t even concentrate on my regular work. But now, I am very happy with my current state of life. Mountain biking gives me pleasure of living a healthy and energetic life. That’s why, I have started this blog and I love to share my biking experience with you all with bike and its accessories reviews, buying guides and awesome biking resources. You can contact me by the following form. Excited to hear from you.